Here are the two recipes that I like to make for my family when the weather gets chilly. I hope you enjoy them as much as we do. Lower oven temperature to 325 degrees Continue to roast for about 1 hour or til meat thermometer reaches 120-125 for medium rare to medium. 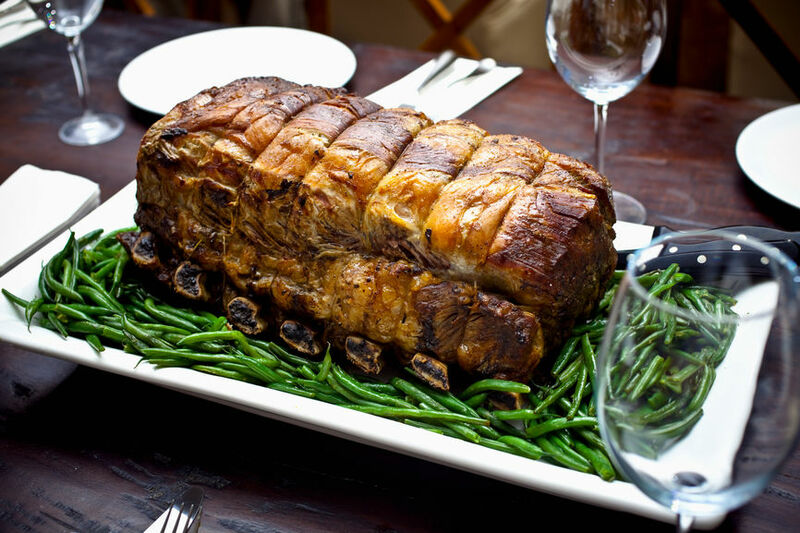 Remove roast from oven and cover with foil and let roast rest for about 20 minutes, this will allow the roast to continue to cook and the juices to mingle throughout the meat before slicing. Add 1½ cups of beef broth slowly to saucepan while whisking and heat til gravy thickens. You can use the classic graham cracker or I’ve use shortbread or vanilla cookies. All are great so what ever your preference may be it's going to be wonderful! Crush graham or cookie crumbs or use food processor, mix in sugar and salt and blend til fine crumbs. Add melted butter and stir til well combine. Press mixture down firmly into prepared pan and set aside. Add eggs and egg yolks and beat til mixed in and smooth. Pour filling into prepared crust and spread evenly. Slight tap springform pan on counter to pop any air bubbles that may have occurred. Wrap the bottom and up the sides slightly with foil (best if one large piece of foil can be used so not to leak any water in bottom of pan and wet the crust) and may need to use several pieces of foil to make sure bottom of pan is completely wrapped. Place cheesecake pan into a large baking pan with sides. Fill the pan up with warm-hot water til it comes up the sides slightly. This is a water bath and will help prevent having ‘cracks’ in the cheesecake. Place pan in the 425 degrees oven and bake cheesecake for 15 minutes. Reduce heat to 325 degrees and continue to bake cheesecake for 1 hour undisturbed. Turn oven off and let rest in oven for another 30 minutes. Test with a toothpick to see if cheesecake is done and not wet. The cheesecake will continue to cook and slowly cool down. 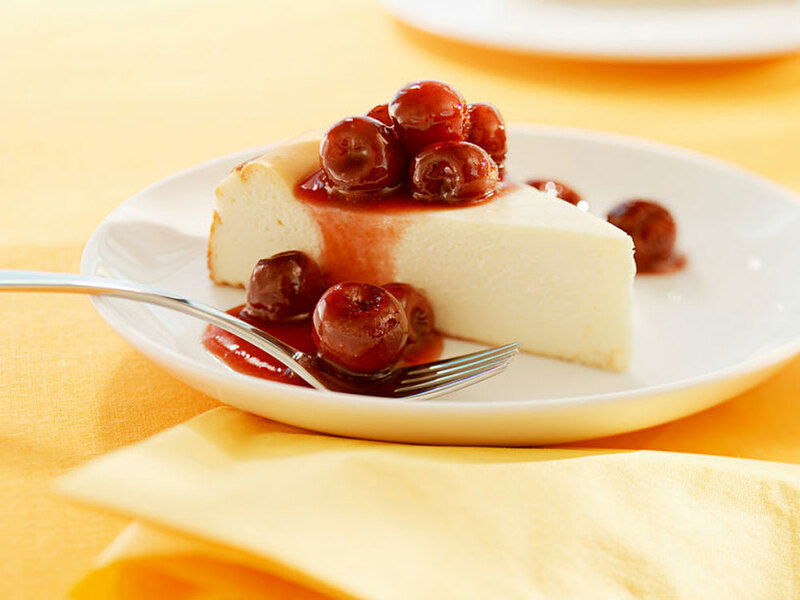 Remove cheesecake from oven and let rest on the counter until cooled down, 30 minutes. Run a knife around the edge to loosen cake. Remove springform pan ring and cover cake with plastic wrap and refrigerate for a couple of hours before serving. Top cheesecake, if desired, to your preference: Strawberry or Cherry sauce, Chocolate with crushed hazelnuts or simply plain. The cheesecake will be delicious serve in any way.